Sometimes on the corporate environment, we join two computers with same computer name on with the corporate domain. The second computer joins the domain but the first one lost his identity and when the user tries to log in to the first computer, he gets the error message that is “The trust relationship between this workstation and the primary domain failed”. 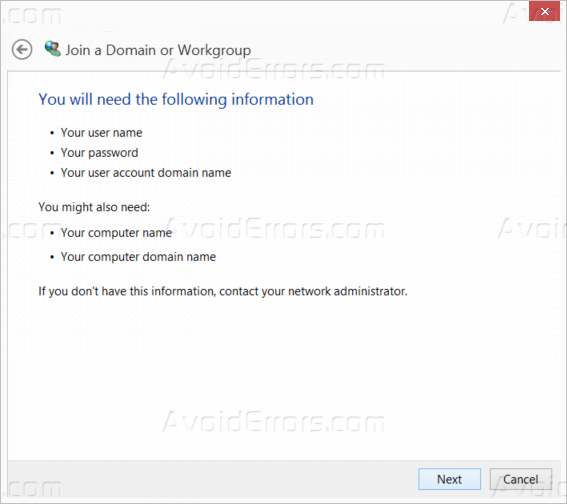 With this error, no domain user will be able to log in the computer. 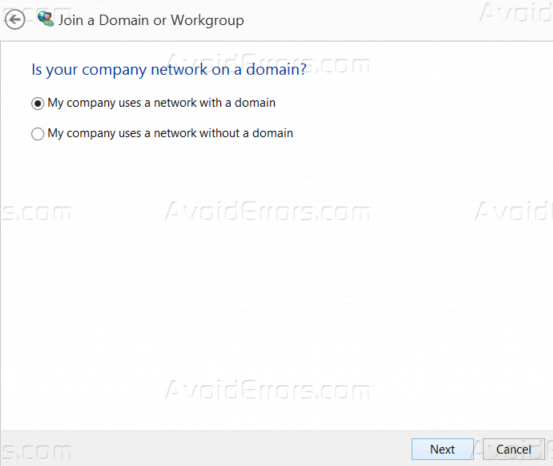 To fix this issue, we first need to delete the newly domain joined computer from the domain. Then go to the old computer and follow the following steps for a computer to fix this issue. 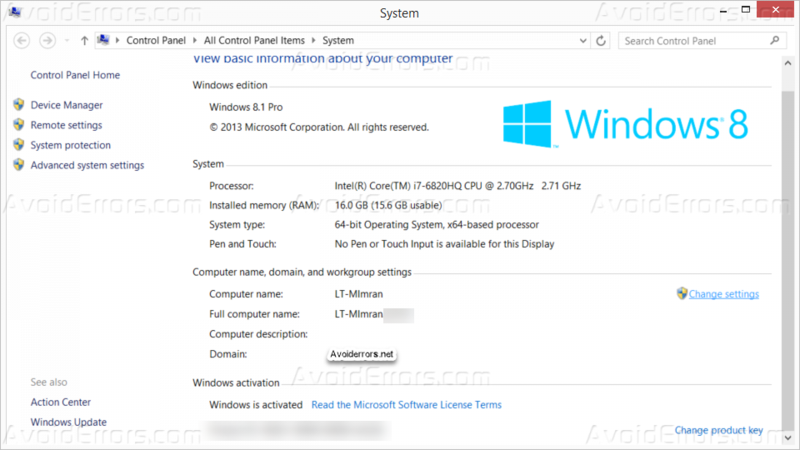 Log into the affected machine with local machine administrator’s credential. Then right click on My Computer and go to properties. Then click on Change settings. 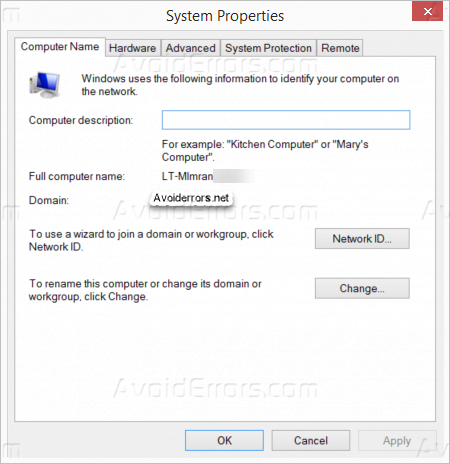 New system settings will open, now click on Network ID button. It will open up join a Domain or Workgroup wizard, select This computer is part of a business network; I use it to connect to other computers at work and click Next. 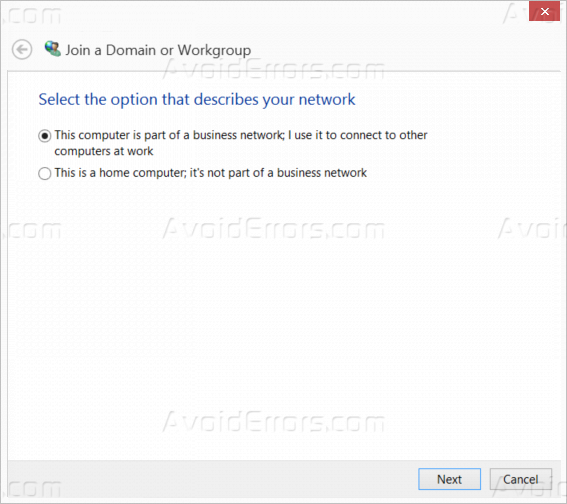 Now select, My company uses a network with a domain and click next. It will show you what information will be required on the next screen, click next. Now enter the username, password and domain name. 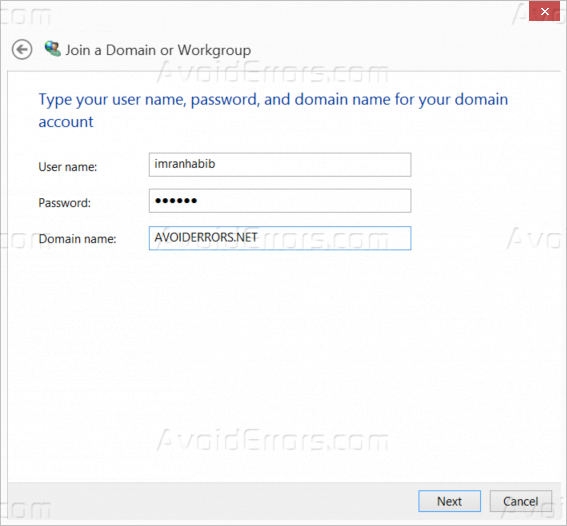 (username should be the member of domain admins or workstation admins.). Click next. It will show up a message that the computer has been found in the domain, Would you like to use this? Click Yes. On next screen, it will ask to add the user in the computer’s administrator account. 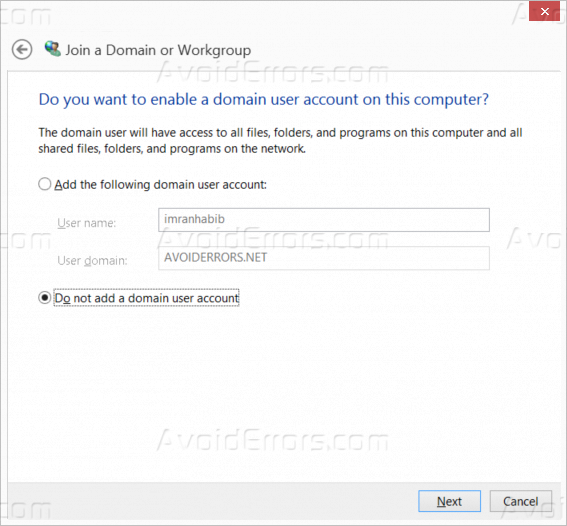 Select the option Do not add a domain user account and click Next. On the last screen, it will ask you to restart the computer. Click Finish and it will restart the computer. 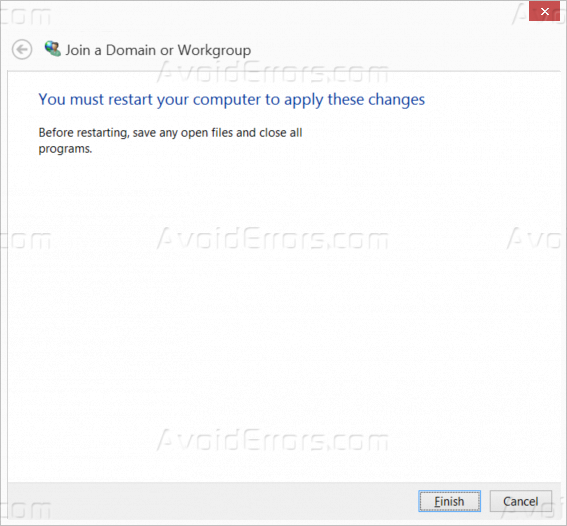 After the restart, you and/or any user will be able to log in to the computer with using their domain credentials.